Discover on 400 pages more than 750 photos of the best furniture design world wide in one single edition. Classics from Philippe Starck, Ludwig Mies van der Rohe and Le Corbusier as well as works from todays top-designers. 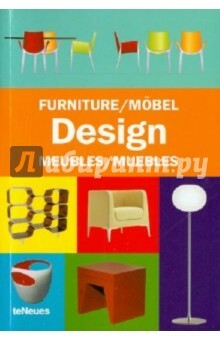 Rich information about the history of furniture and design. Addresses and web sites of designers and manufacturers. Text in English, German, French, Spanish.